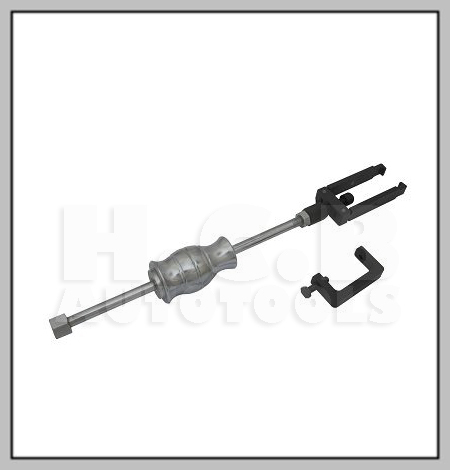 * This puller is designed to remove injector nozzles when injector pump is overheat and stuck. * The slide hammer action gives a straight even pull without damaging components. * Steps:(1)Open legs of main body and hook up with injector pump(2)then fix upper screw(3)take C base to fix with main body (4) assemble slide hammer to take out nozzle. * Save time and Labor!